By buying this product you can collect up to 118 loyalty points. Your cart will total 118 loyalty points that can be converted into a voucher of 35,40 €. 1 188,00 € tax incl. 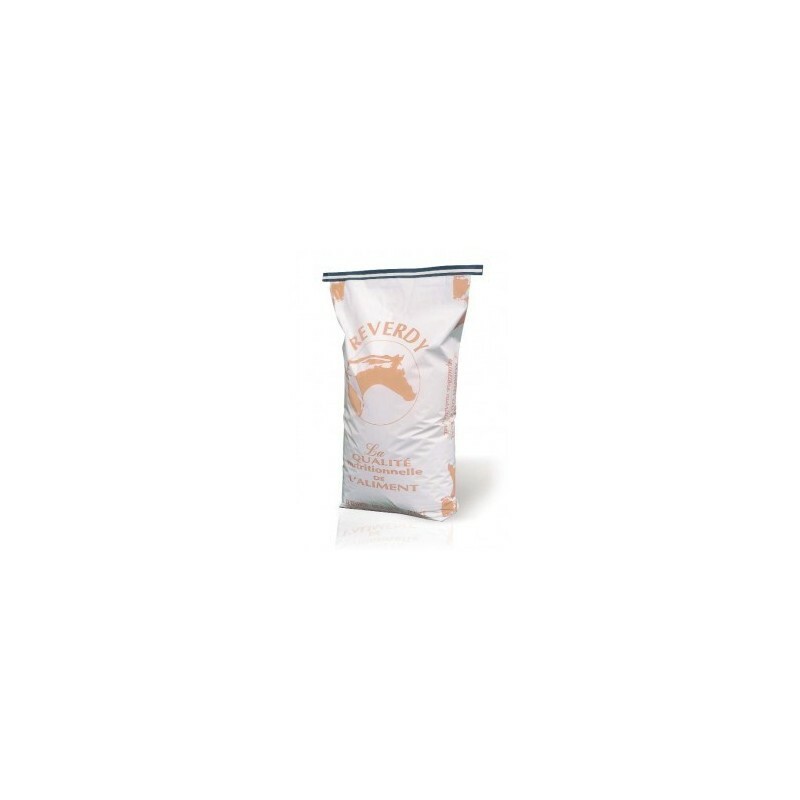 A flaked feed conceived for the preparation of foals and yearlings for the sale ring. 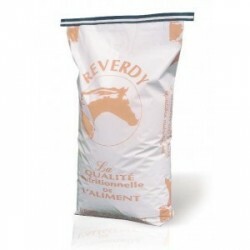 Contains flaked maize and skimmed milk powder, appetency factors. Speed of the intestinal transit regulated, and hydration of the digestive tract thanks to soluble fibres found in the extruded linseed (mucilages) and the chicory pulp (pectins). The immune defenses fortified and inflammation regulated by the significant provision of Omega 3s and Glutamine. Barley, Oats, Alfalfa 17, Flaked maize without gmo*, Soya bean meal without gmo*, Extruded linseed, Skimmed milk powder, Sepiolite, Extruded soya beans without gmo*, Linseed oil, Potato protein, Lithotamnion, Dicalcium phosphate, Trace elements, vitamins, prebiotics and probiotics. These recommendations are based on the requirements of horses with anticipated adult bodyweights of 500 kg, fed ad-lib quality hay with free access to a pure salt block and clean water. - the quantity, quality, and type of forage fed daily. - Foals and youngstock: Feed a maximum of 2 litres per feed. - Respect the recommended quantities.